Drove the ball great last week, he gained more strokes off the tee than Cameron Champ over the first two rounds. Putting an issue but T36-T20 in two visits to TPC Summerlin. It’s amazing how quickly things change in sport. It wasn’t that long ago that Trey Mullinax was wowing the crowds with his prowess off the tee, last season he was only behind Rory McIlroy in driving distance on tour but now they are yesterday’s men with Cameron Champ striding around. Regular readers might remember my quip that Champ was Mullinax 2.0, it’s just a shame my investment in Trey wasn’t returned so quickly. However, there have been some close calls including at the Texas Open when he was a duffed chip away from that maiden PGA Tour victory. The 26-year-old has been quiet since then, missing the first two cuts of the season but it was the same last year before he returned with a T20 at the Shriners. TPC Summerlin is a course that suits his game, there is plenty of space off the tee and Smylie Kaufman triumphed with a very similair game plan in 2016. The problem for Mullinax has been on the greens. 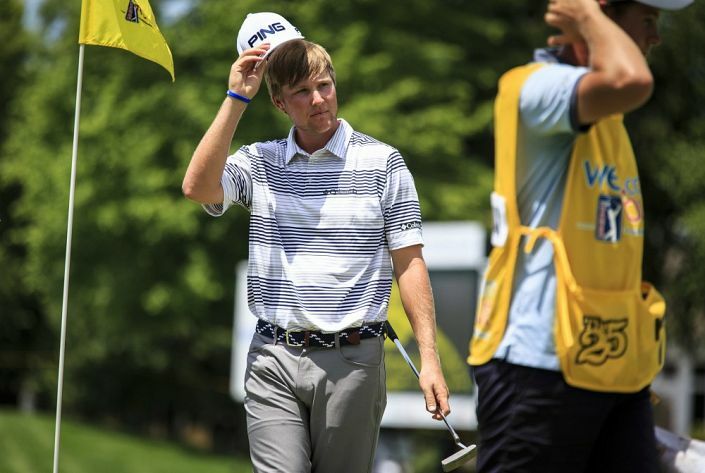 He lost 4.6 strokes to the field in the first two rounds last week at the Sanderson Farms but off-the-tee he gained 3.778 compared to Champ’s 3.395. Tee-to-green there wasn’t much between them either; Mullinax gained 4.093, Champ gained 6.465. The ball-striking is there and i’m happy to take a risk on the putting given his price. Betfred are going 250/1 and paying 7 places at 1/5 odds.